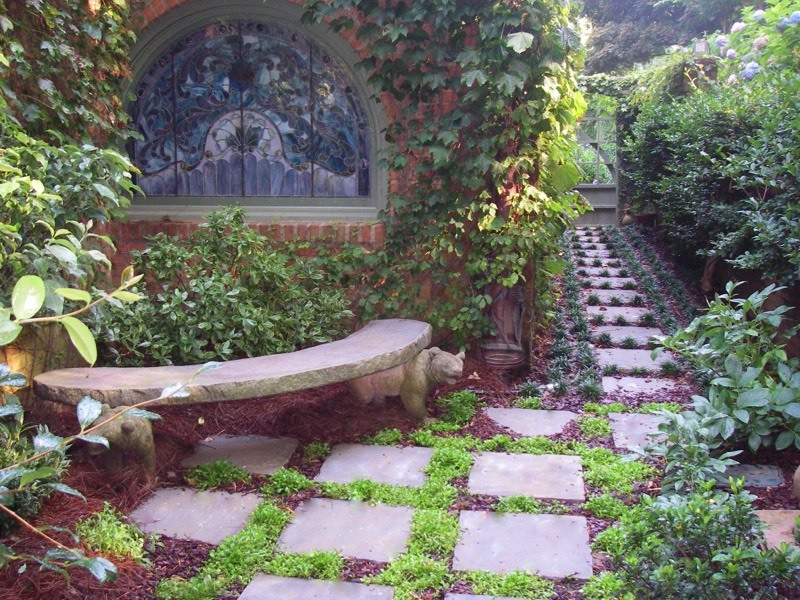 Flagstone walkways stone steps shadow stacked stone walls metro home garden design. 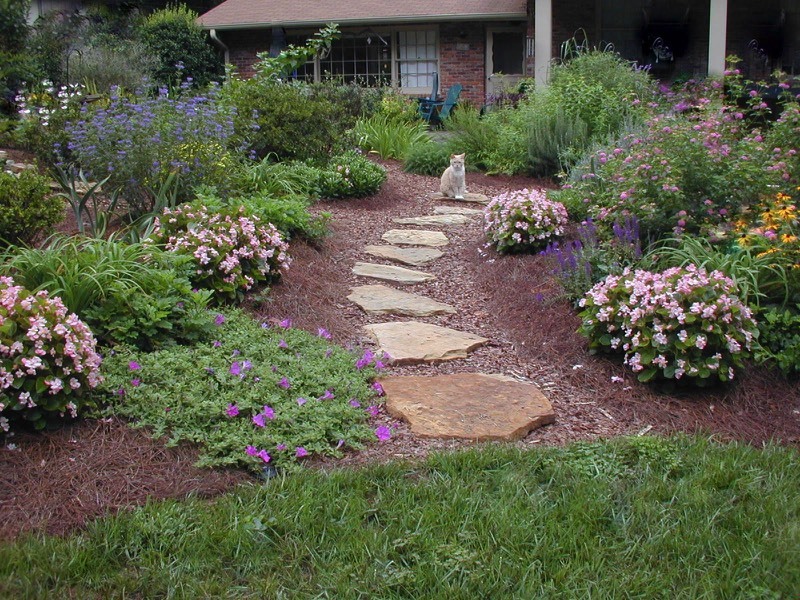 Paths might be smaller in width than walkways and often do not have a foundation which makes them less costly to build. 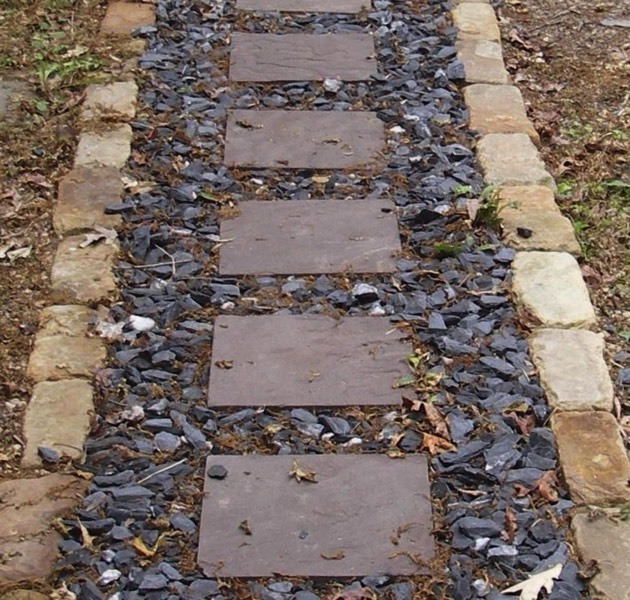 Natural stone can be used continuous or as stepping stones. 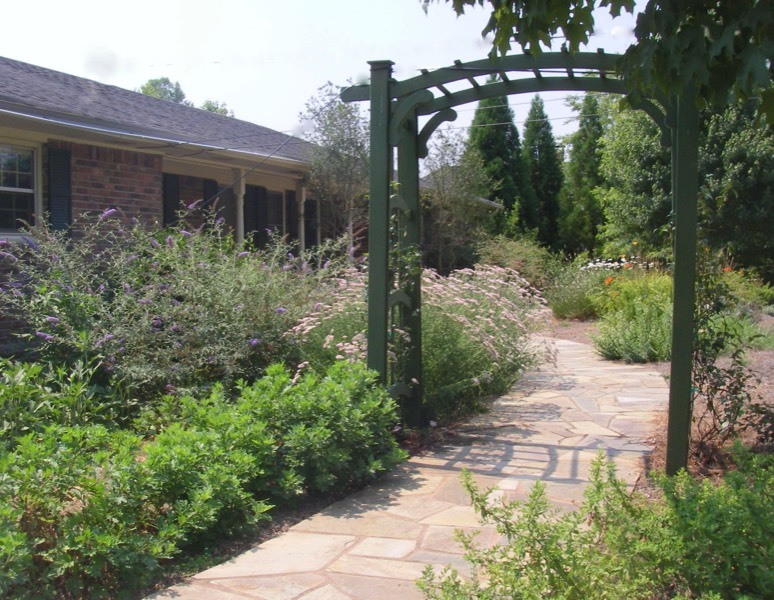 Crab Orchard and Bluestone will be smoother and flatter than natural Fieldstone which will provide a more rustic look. 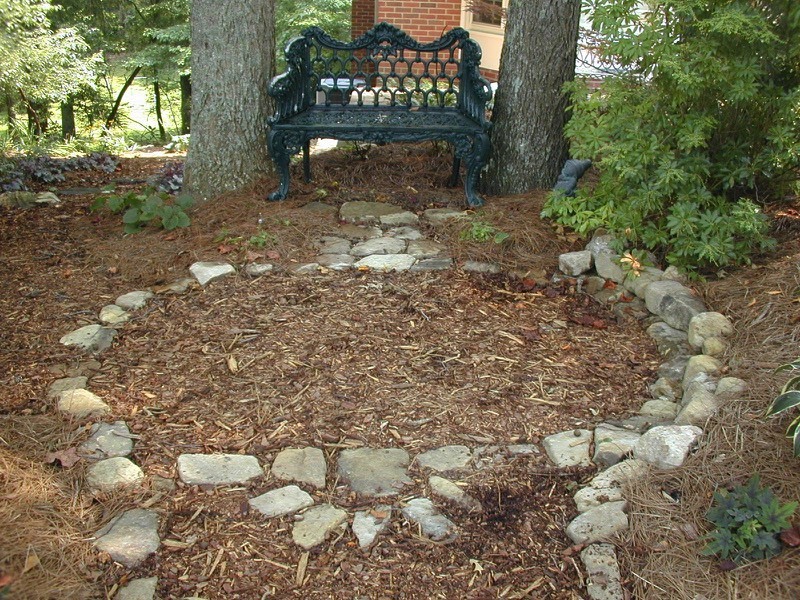 Ground cover, mulch or gravel can be used around the stones. 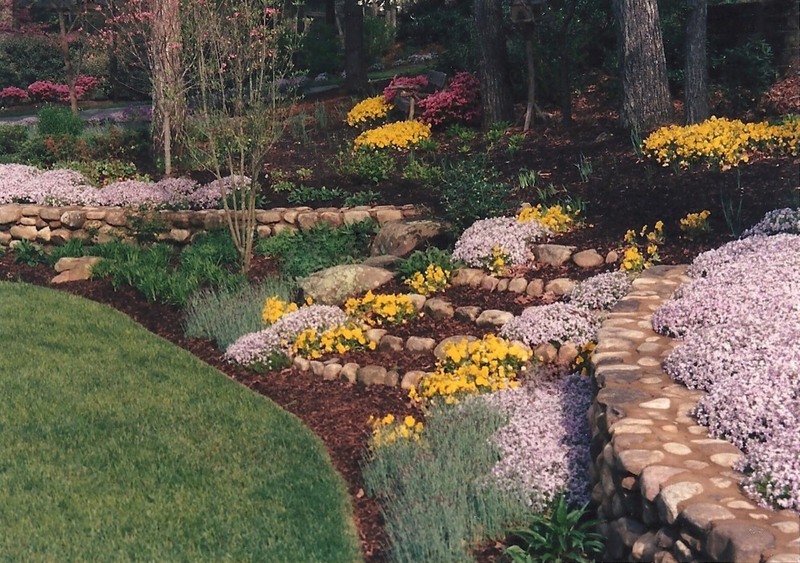 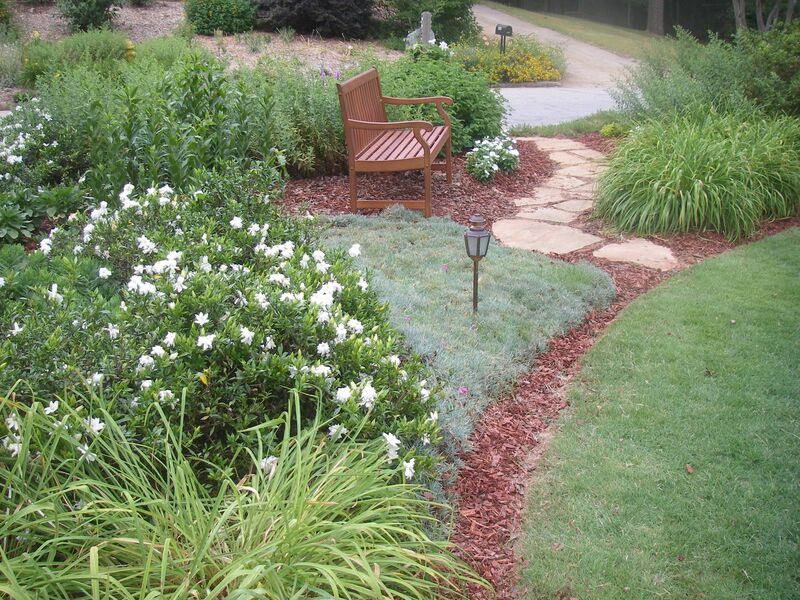 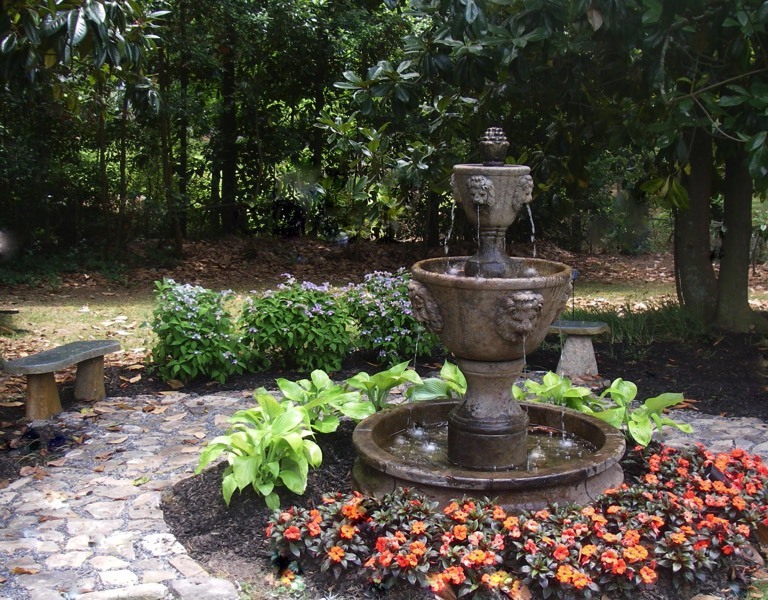 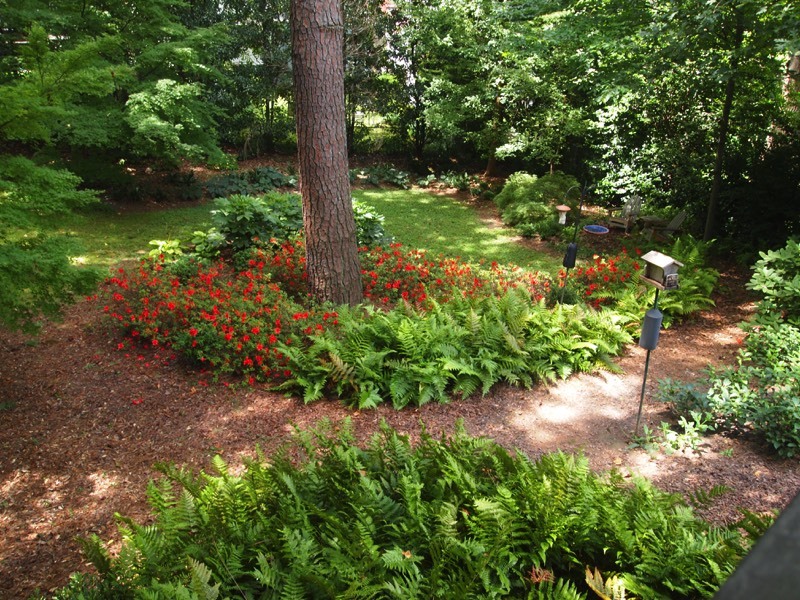 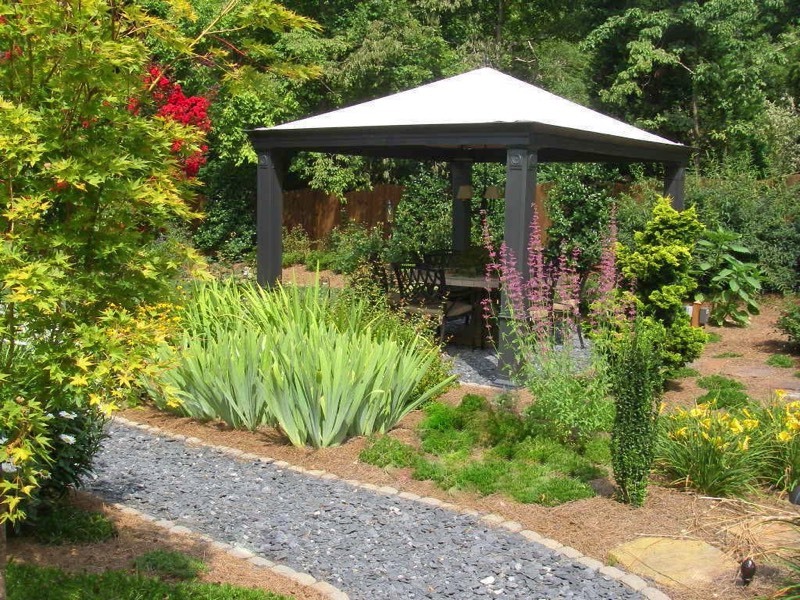 A less costly path can be obtained by using mulch or gravel as the infill with stone as edging. 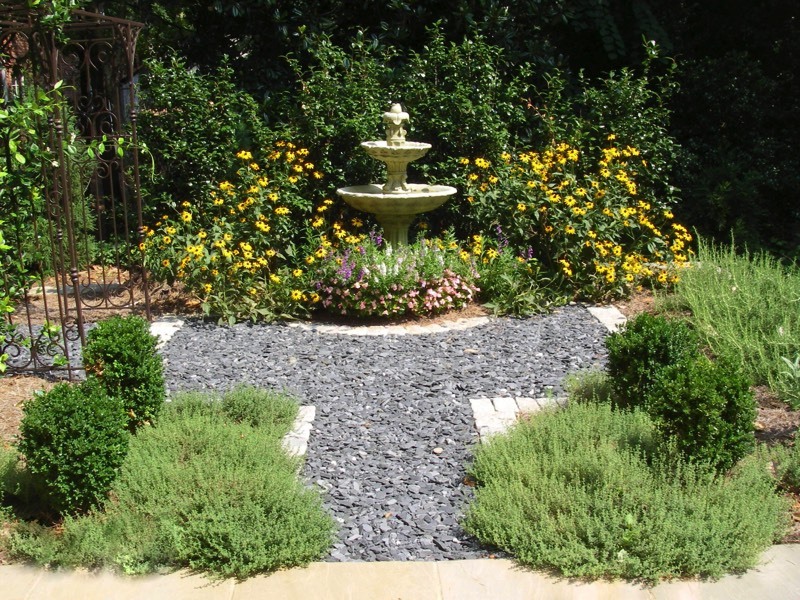 We often repurpose stone and gravel that is uncovered from the site. 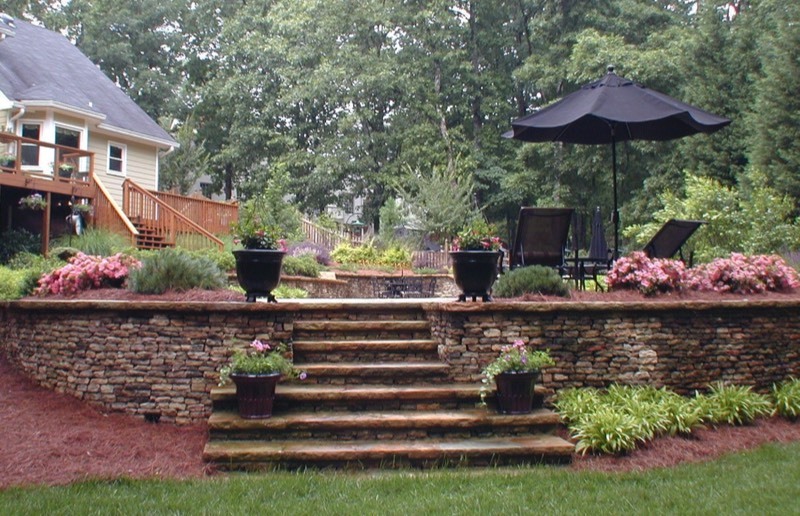 Stone steps can be integrated where ever needed. 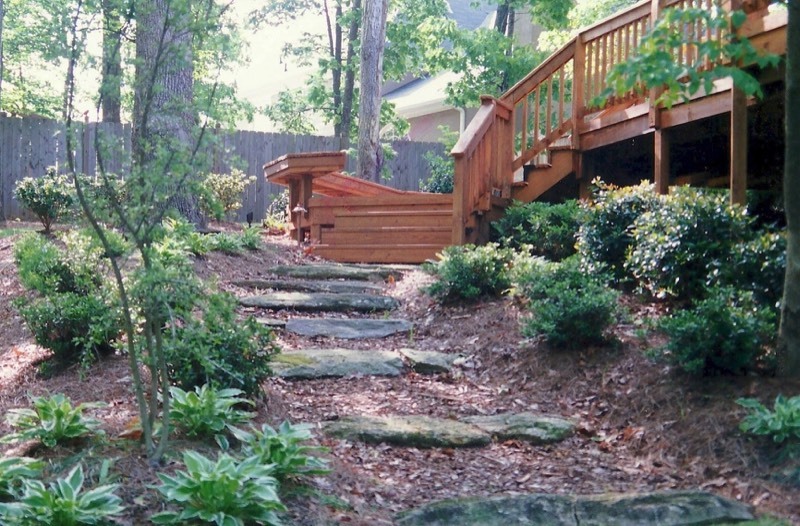 Paths, walks and steps may initially seem minor design challenges, but, if you think about how many are really needed to connect all spaces, perhaps you’ll realize that it’s only with the assistance of great designer that this can be accomplished both in a functional and aesthetically pleasing manner. 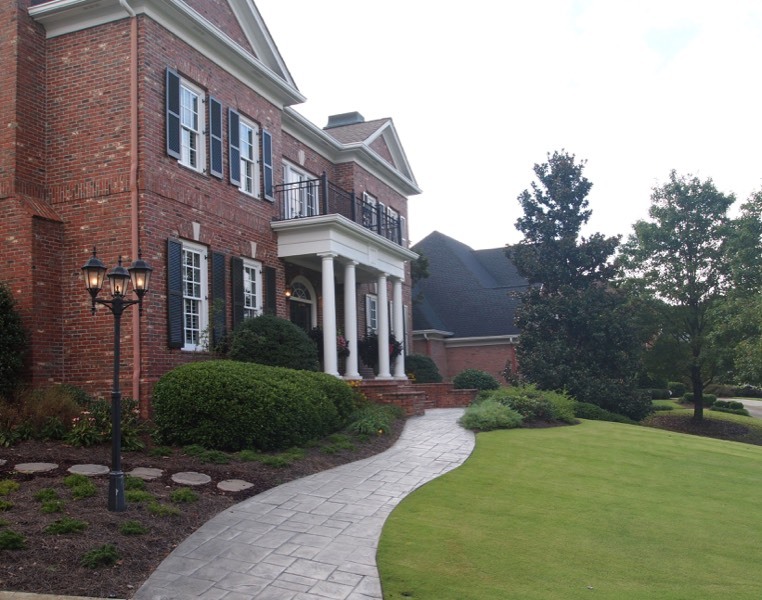 Hope you choose us. 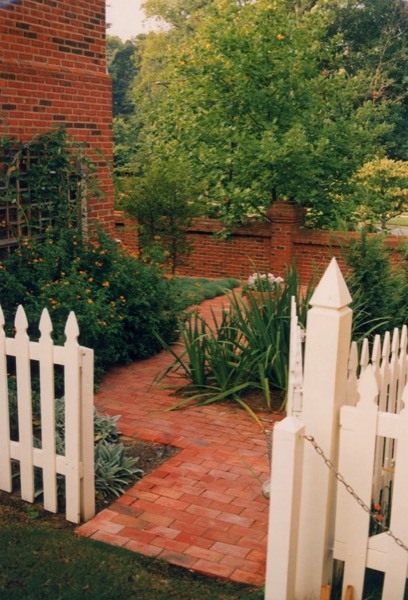 It’s hard for a few pictures to really illustrate the potential that exists. 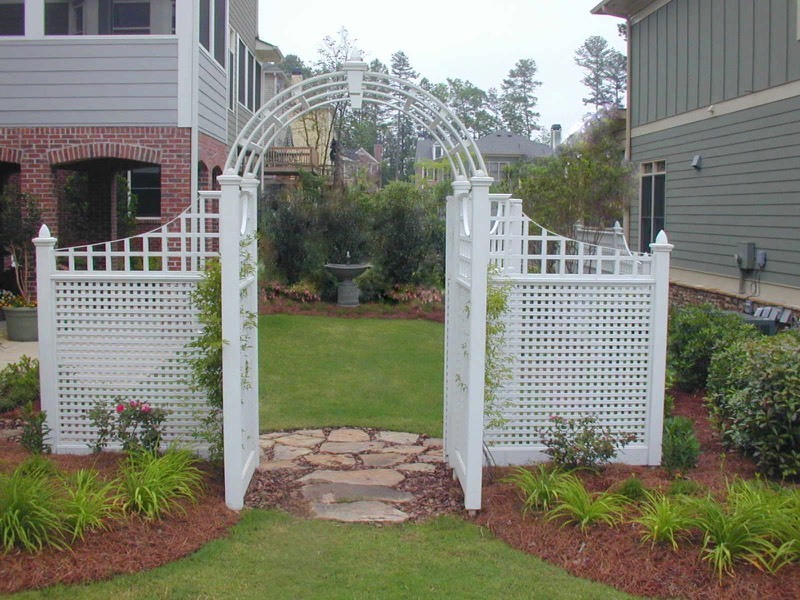 We have options for every budget! 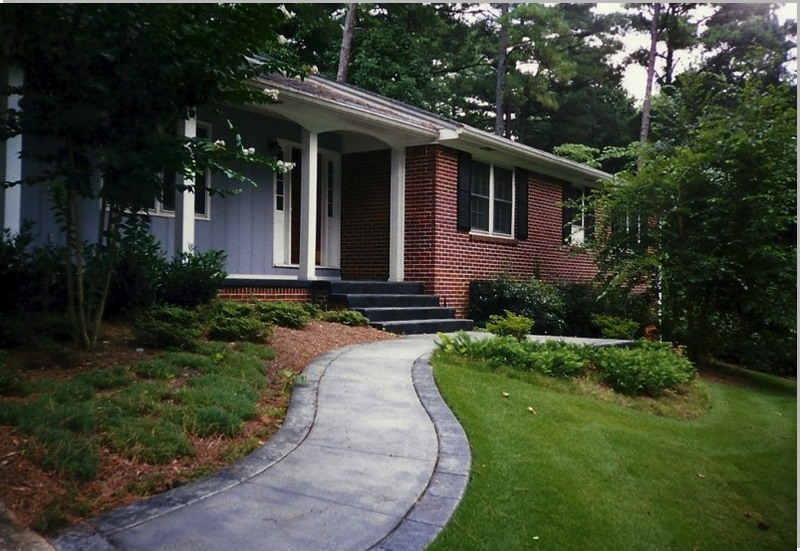 Flagstone walkways and stone steps are often used because they work well with shadow stacked stone walls that are so popular in metro Atlanta landscapes. 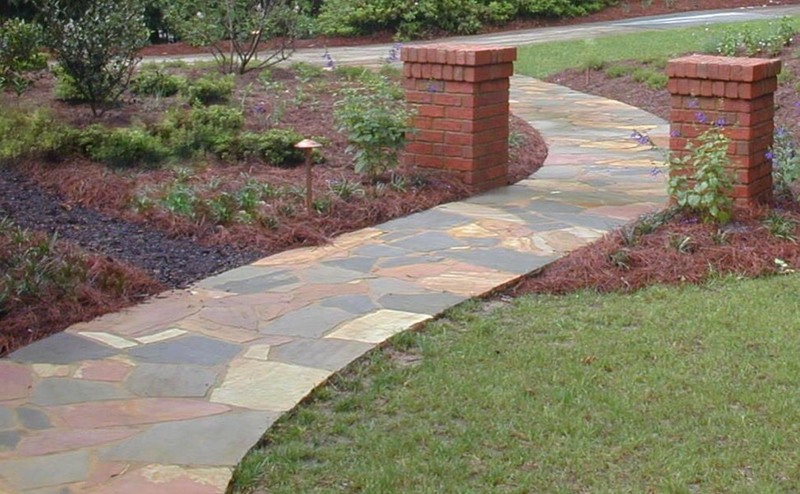 To give your sidewalk a unique touch, we will custom select your stone, perhaps use mixed colors or add an interesting border. 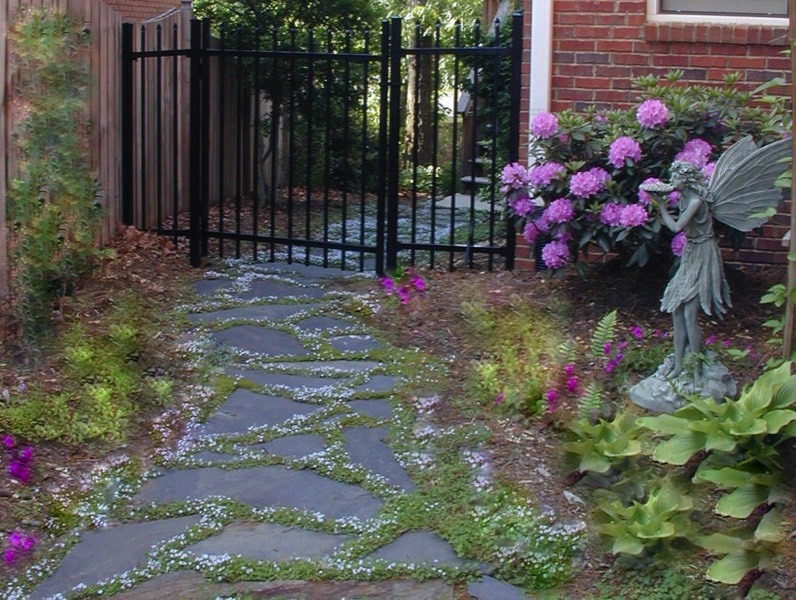 Walkways of brick, pavers and granite cobble stones are also popular. 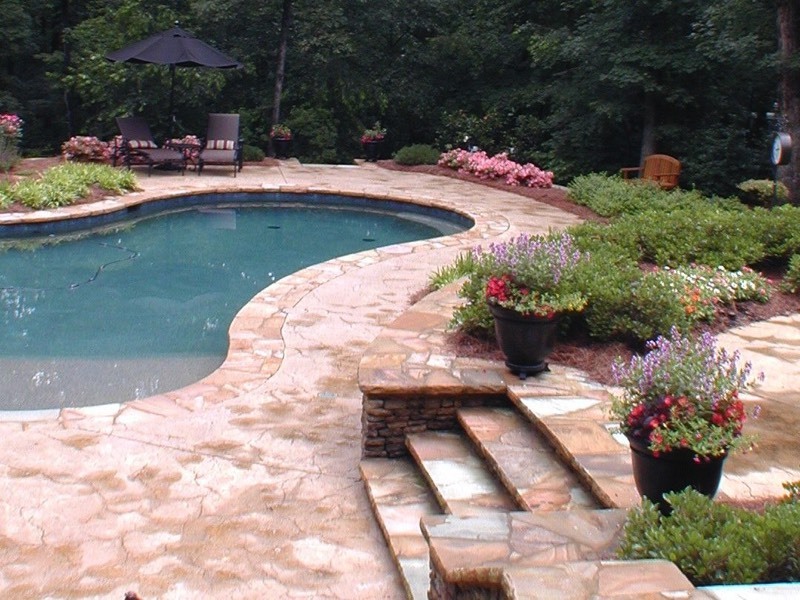 Concrete offers many possibilities especially with the use of colored, stamped patterned concrete. 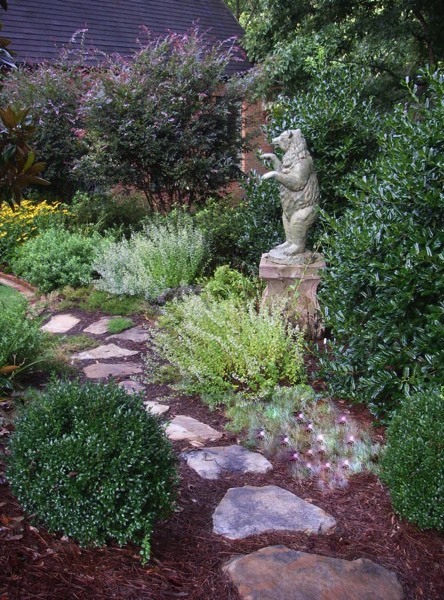 We always coordinate the walks with nearby paths by repeating the material or color in some manner. 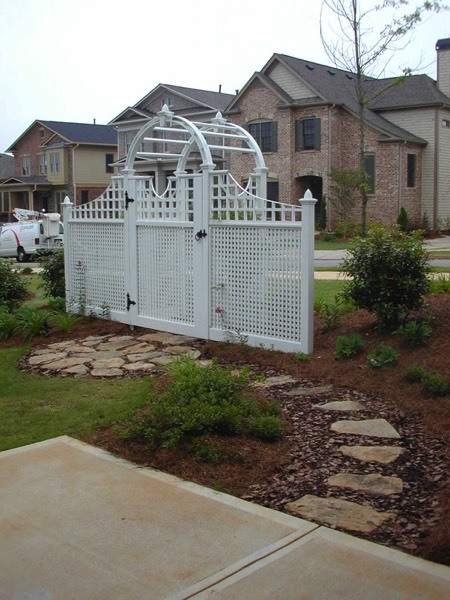 Take a look at the many samples in our portfolio.